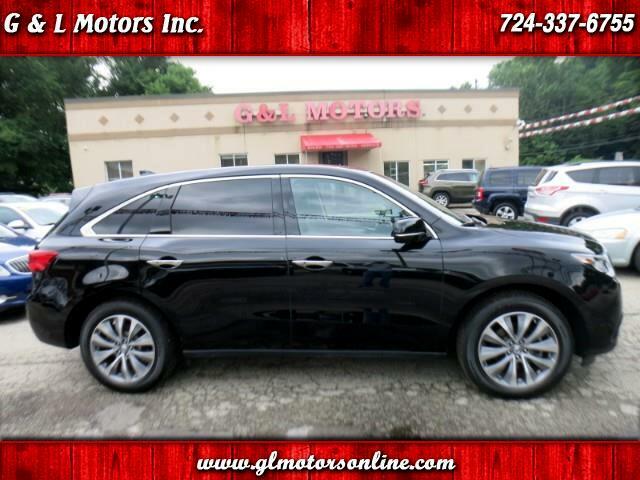 Used 2015 Acura MDX SH-AWD 6-Spd AT w/Tech Package for Sale in Pittsburgh New Kensington PA 15068 G & L Motors Inc.
(51) Photos Apply Online Text Us About This Vehicle! G & L Motors Inc. Check out this 2015 Acura MDX SH AWD with Tech Package, **Navigation**, Sunroof, 19" alloy wheels, **7 Passenger seating**, steering wheel controls, **Remote Start**, traction control, **Heated Seats**, perfect black paint with black leather interior, 1 Owner Accident Free History. If you want the ultimate in luxury SUV's - Look No Further... Call 724-337-6755 for more information or to schedule a showing today!! We are big enough to have the resources needed to properly serve our customers and small enough to be able to provide a family friendly atmosphere, no pressure sales approach while having some of the lowest rates and best terms in the business. Credit problems? We've got you covered there too with finance options for just about everyone. We have been in business for nearly 30 years at the same location and offer vehicles that are clean and serviced. So if you don't want to go to a vending machine to purchase your vehicle and still prefer to deal face to face please Stop Out Today!! Prices do not include sales tax, license plate, dealership document preparation fees. Message: Thought you might be interested in this 2015 Acura MDX.